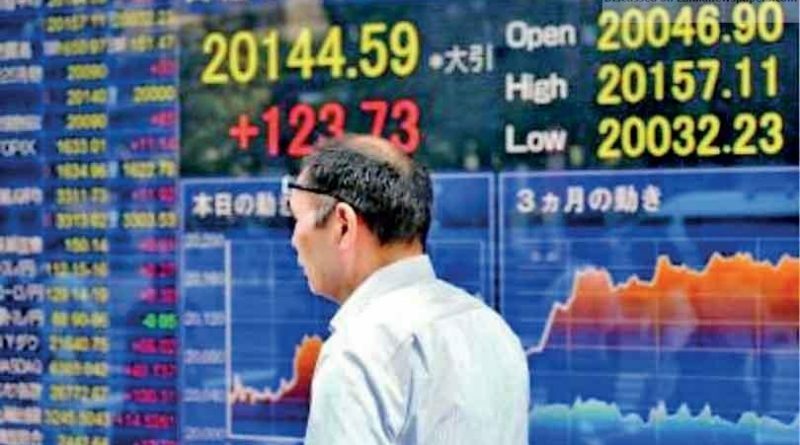 HONG KONG (AFP) – Asian markets mostly rose in holiday-thinned trade yesterday on hopes that China and the United States will hammer out a trade deal after both sides sounded notes of optimism. With top negotiators from the world’s top two economies huddled down in Washington for three days of talks, there has been a growing sense they are close to an agreement to end a stand-off that battered global equities last year. Donald Trump on Thursday added to the sense of hope when he said the two sides were nearing a successful conclusion. “We will probably know over the next four weeks. It may take two weeks after that,” he told reporters following a meeting with Beijing’s top trade envoy and Vice Premier Liu He. “It’s looking very good.” Later Liu said they had “reached a new consensus on important issues”, according to China’s Xinhua. The news agency also reported that President Xi Jinping had called for the “early conclusion of negotiations”. Both camps have been cautiously optimistic for months, but the last mile is proving to be the hardest as they tussle over whether and when Washington should remove the painful tariffs it imposed on Chinese goods last year. While the news was once again upbeat, Asian markets were unable to press ahead with the rally that has characterised the past two weeks, with Hong Kong and Shanghai closed for holidays. Tokyo ended 0.4 percent higher, Singapore added 0.4 percent and Seoul put on 0.2 percent. Manila rose 0.2 percent, while there were also advances in Mumbai and Bangkok with Jakarta flat. However, Sydney shed 0.8 percent and Wellington slipped 0.4 percent. “There’s a little bit of a risk that it’s a sell-on-the-news event,” Ann Miletti, at Wells Fargo Asset Management, told Bloomberg News. Dealers are now awaiting the release of US jobs data later in the day for an idea about the state of the world’s top economy. In forex trade, the pound edged up as traders keep tabs on the Brexit saga, with Prime Minister Theresa May set to hold a third day of talks with opposition Labour Party leader Jeremy Corbyn to find a way to avert a no-deal divorce. With an April 12 deadline for leaving on the horizon, May is desperately searching for votes to pass an agreement she struck with the EU months ago. Brussels must decide whether to grant her plea for another delay to May 22, with one option being for a longer extension that could give Britain time to rethink Brexit and possibly reverse its decision to leave. “A Brexit extension is the most likely scenario from here, the length of which could be decided by Labour backing Theresa May’s deal, in which case it would be a short one” said OANDA analyst Alfonso Esparza. “Or no deal is passed and the UK (asks) for a longer extension, the length of which would have to be decided by the EU and which could be the end of Brexit” if there is a new referendum or new elections, both of which he said are likely scenarios.